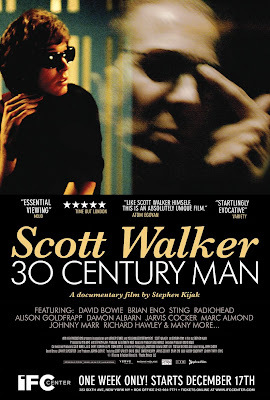 30 Century Man will be playing at 11:05am, 12:55pm 3:00, 5:05, 7:40, 9:45pm, plus Fri-Sat: 12:30am at IFC Center (323 Sixth Avenue, (212) 924-7771) through December 23, 2008. Director Stephen Kijak will be there in person to answer audience questions after the film Fri, Sat & Tue at 7:40pm. Designer Graham Wood in person Fri at 7:40.